Preclinical microCT imaging is challenged by many applications in motion that are diverse; require data accuracy, dual-energy acquisitions, dynamic capabilities and attention to details. 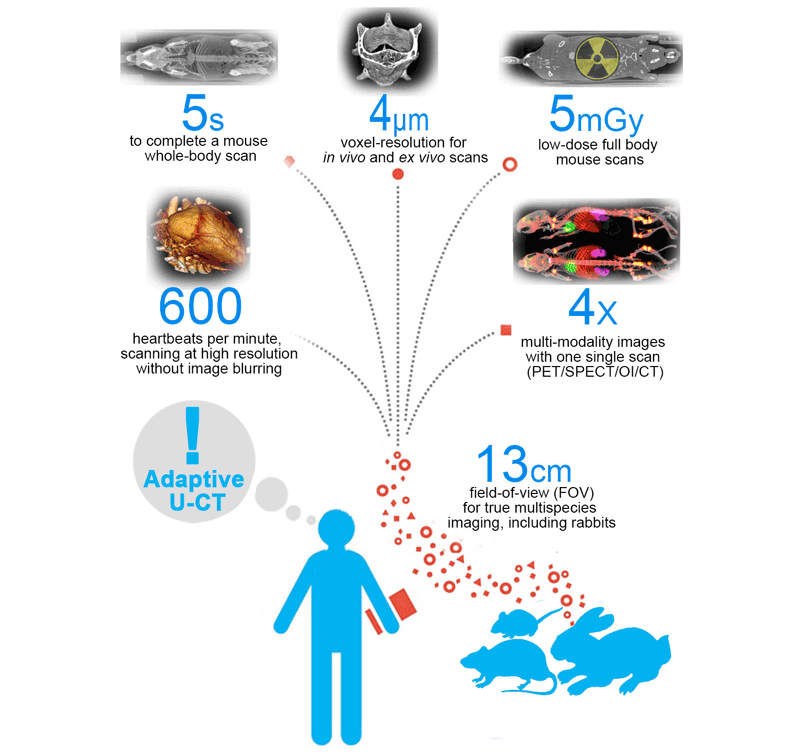 X-ray CT research evolves fast, throughput demands increase, exposure doses decrease. 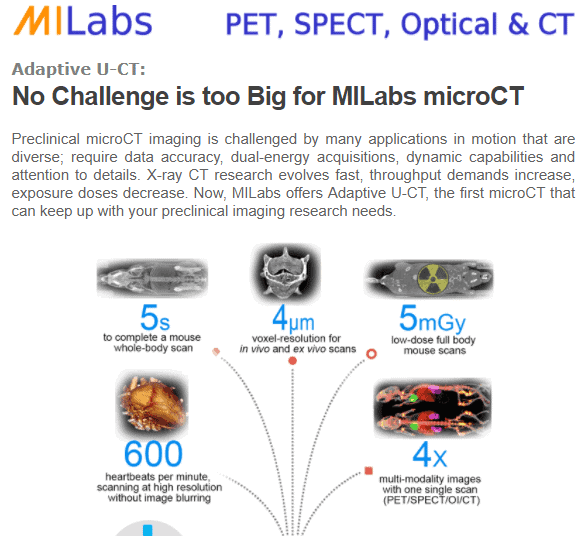 Now, MILabs offers Adaptive U-CT, the first microCT that can keep up with your preclinical imaging research needs. 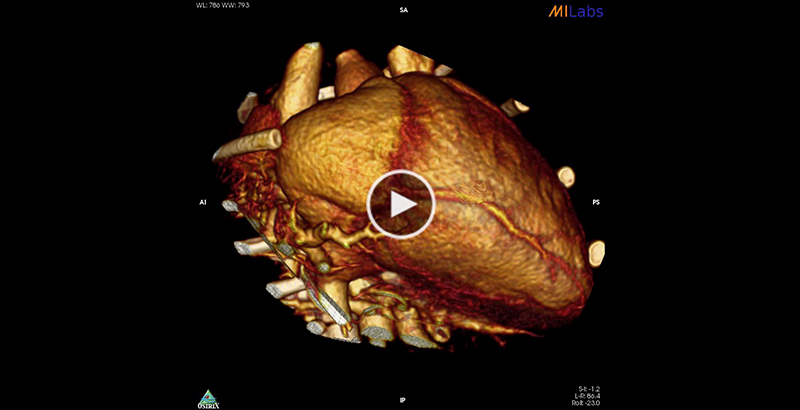 For example, use 4D ultra-high resolution U-CT to visualize and quantify cardiac functions. Below you can view 4D cardiac gated mouse heart, showing exceptional details like the coronary arteries in action.